Northern California may be easy to find on the map, but don’t kid yourself. 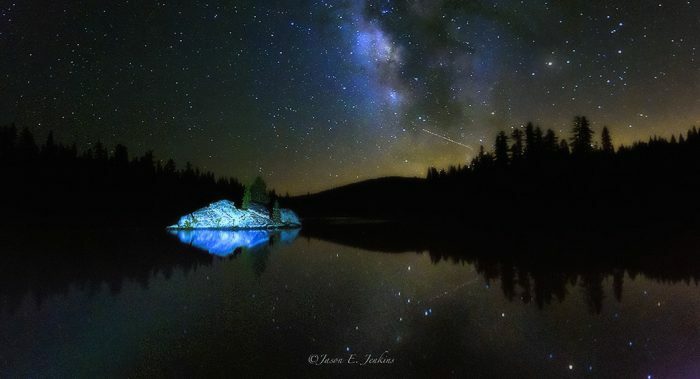 This part of our state has more hidden gems than you can find on Google. For some of us, this means a hiking adventure. For others, it means we throw our backpacks in the car and take off for a while to find them. 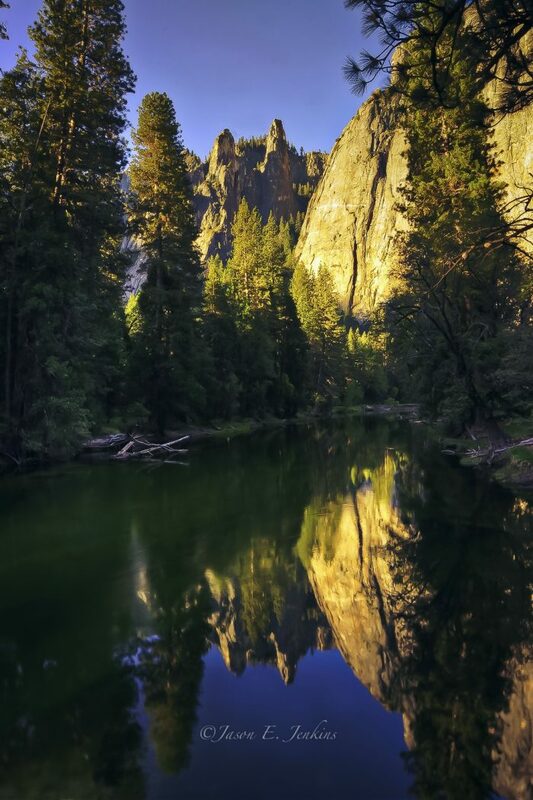 And, for folks like me, even some of the most obvious places (like Yosemite) can be a hidden gem because I’ve driven past it for years and never pulled off the freeway to take a peek. Whether you’re a Northern California with insatiable wanderlust, or a couch potato who’d rather look at amazing photos on your phone, you were in mind when we collected our favorites below. 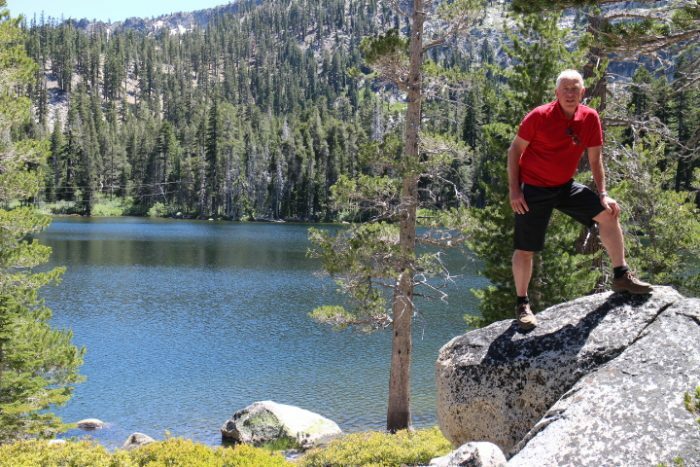 145 miles of water weaves itself from the high Sierras to Yosemite Valley. 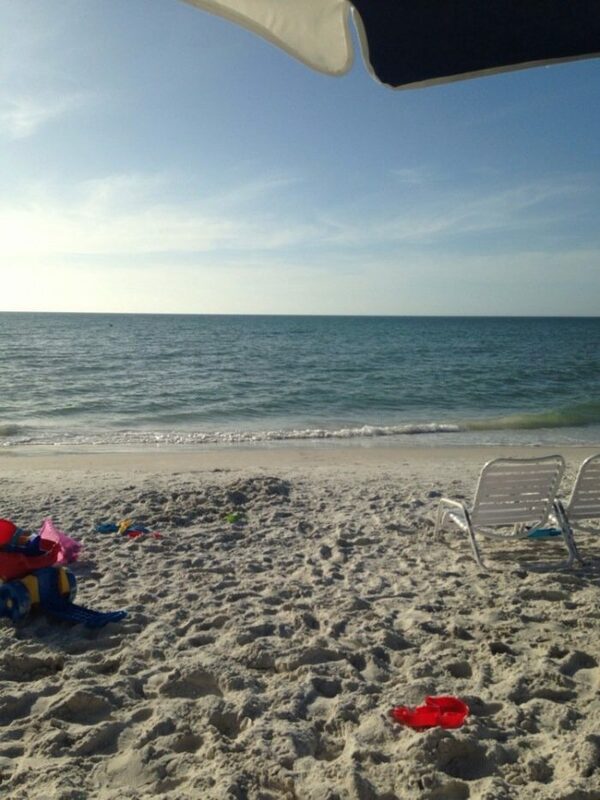 When was the last time you were there? This tiny little business gemstone has been around for ages. I bet you haven't even heard of it. Right? 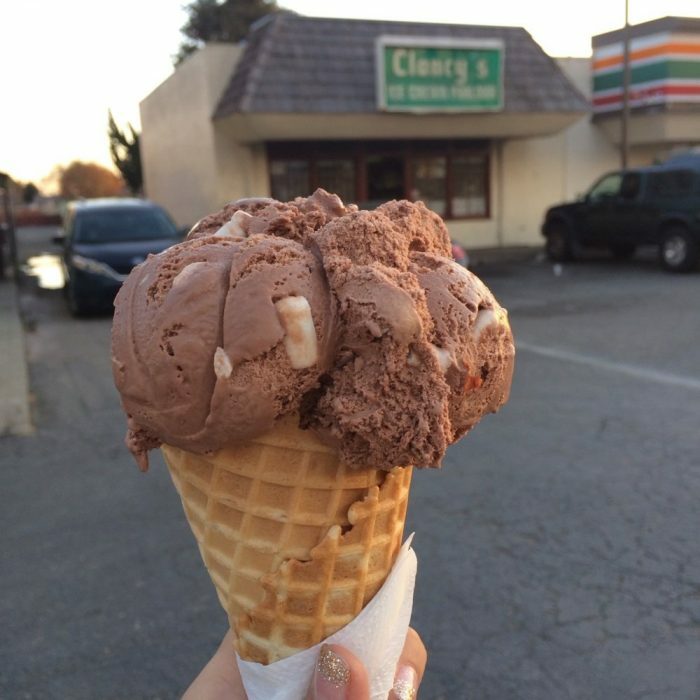 Clancy's has been feeding generations in San Leandro with extra-large scoops of their favorite addiction: ice cream. The prices are great and the ice cream is even better. Betcha haven't heard of this one. Nestled around a grove of hardwoods the pines are what scent the air here. Camping is cool and at an almost always cool 5300 feet. If you're heading north on highway 1 and plan on a coastal route to take in the gorgeous view, there's a destination you'll have to include on your trip. 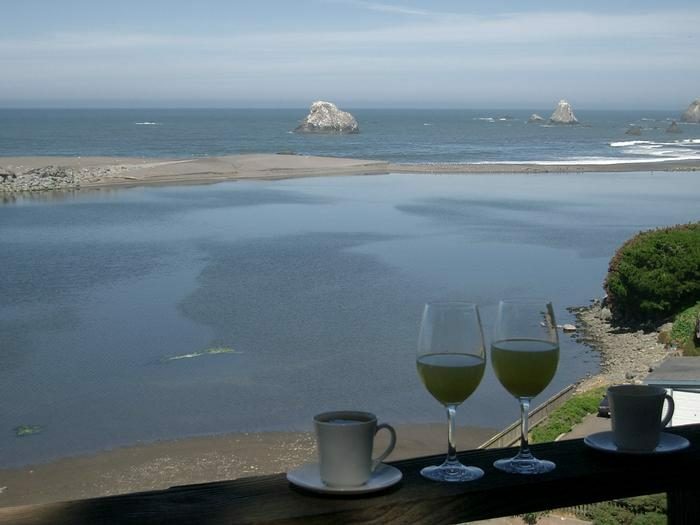 River's End is the restaurant in Jenner with a view to die for. It's where the Russian River empties into the Pacific Ocean and where you'll be convinced you've left California and landed in Ireland. Eureka is home to the oldest cheese company in California. 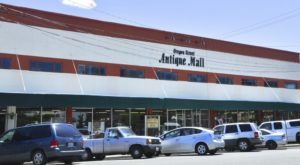 The Rumiano family began their business in 1919. 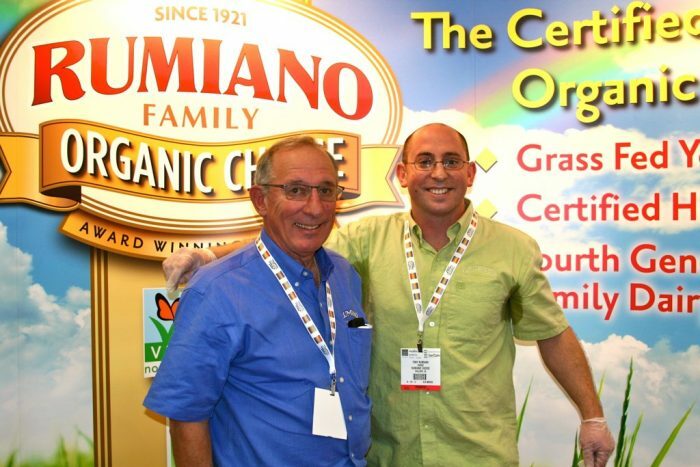 Today, over 4 generations of Rumiano's have worked to make their cheese a success. Many of the dairy farms in Humboldt and Del Norte counties have lent a hand, too. 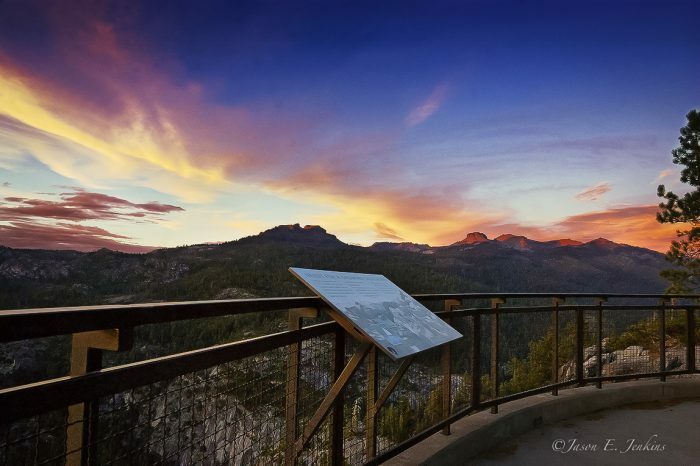 Donnell Vista is the spot in Tuolumne County where you can see views of the Dardanelles, Donnell Lake, and Niagara Creek Falls. 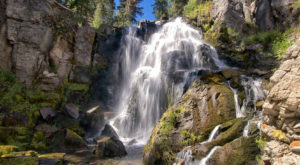 This area is made up of volcanic remains of lava flows that began at the top of Sonora Pass and flowed down the river canyon long ago - some believe even before the start of the Ice Age. Never been here? Then put this one on your bucket list this summer. Take a cool dip in this incredible water. Located in Whiskey Town National Park - we're not sure you can go wrong. Enjoy your mocha in their "Big S Mug" and enjoy a joke or story from their fun baristas. Santoro's is tucked away beside a junior high and a gas station in Cameron Park. This little hidden gem, known only to locals who get off Highway 50 at the Cambridge exit, will definitely be discovered now. 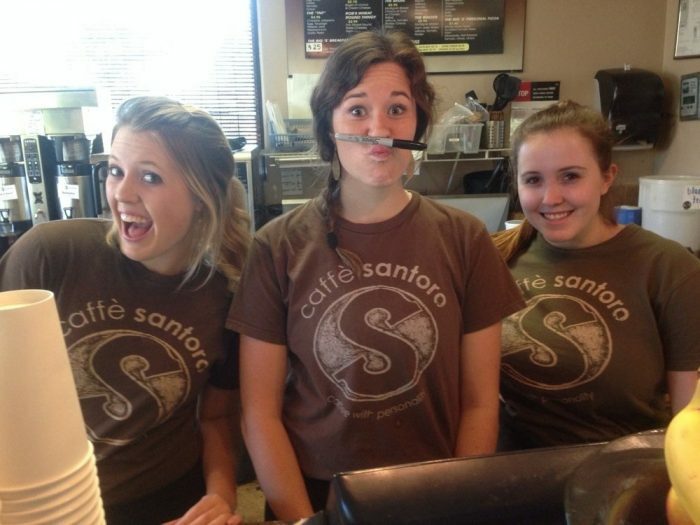 A family run business with personality, the Santoros know how to brew a cup of coffee. But it's their love of community that blesses so many. From their weekly dollar scoop night cones to inviting Santa Claus for a visit every winter for the local kids - Starbucks could learn a thing or two. Ken Santoro and his wife Linda own the store and will most likely be behind the counter. (Rumor has it , that a 2nd Santoro coffee gem might have popped up in Cameron Park.) Make sure to tell them Joanne sent you! 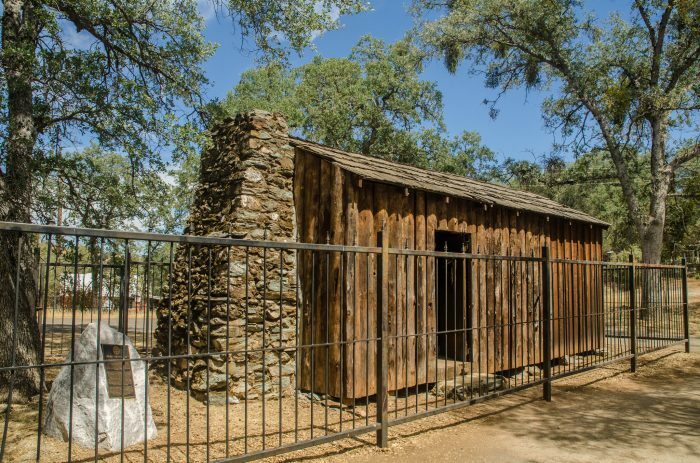 Sonora is where you can find this cabin. 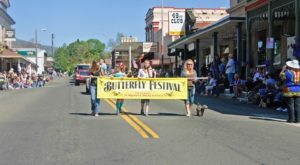 It's a little off the beaten path in Calaveras County, but that's exactly what Sam Clemens (Mark Twain) was hoping for. He'd come to San Francisco for a job at the local newspaper but in no time at all had offended folks. He'd claimed the SFO PD was corrupt and ran fast out of town before things got hotter. He stayed in this cabin, which belonged to a friend, for five months while things cooled down. Some say this was when he went into town and saw a little boy with a frog. 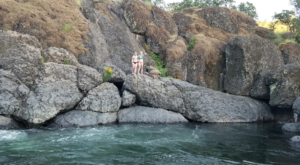 Thus, the famous "The Jumping Frog of Calaveras County" was born...and so was Twain's infamy. San Gregario is not a creek at all. 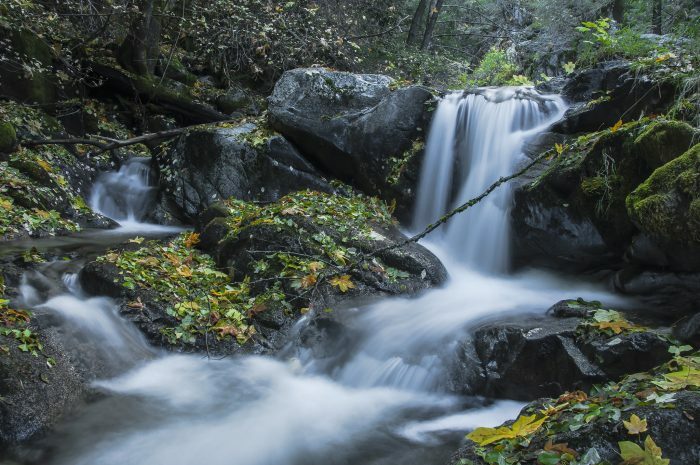 This is 12 miles of river that begins in the Santa Cruz mountains and weaves its way into San Mateo County. Beauty beyond belief. A gem for sure. 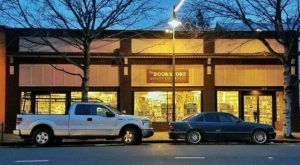 When was the last time you were in Arcata? It's an adorable little seaside town. And, from the reviews I read, some people believe this beach has some of the most beautiful seascapes in all of California. Plus, you can find lots of driftwood and sea shells here. Brigadoon Park in San Jose is also known as Slide Park. 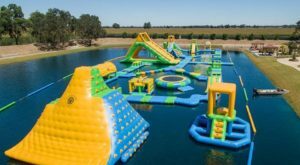 This is heaven on earth for kids - make sure to bring your own piece of cardboard! Don't forget it. 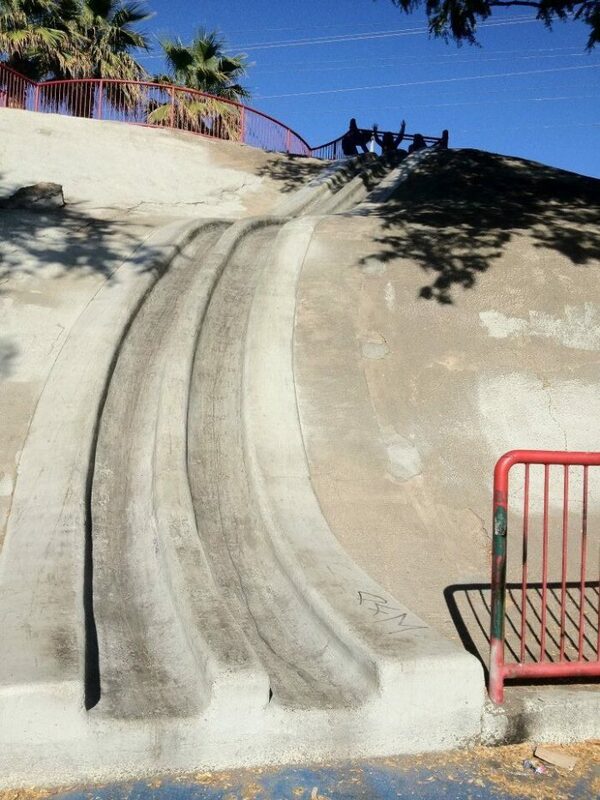 This is how your kids will squeal with laughter as they fly down those cement slides. Run them around until they're exhausted then bring them home to an early bedtime. 8500 feet up sits two of the most beautiful lakes around. Lake Tahoe is the bully on the block so it gets all the visitors. 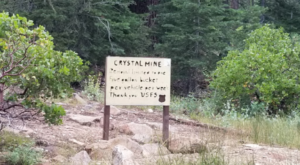 Having to hike to them turns a lot of folks off. But, for those who are wiling to walk about a mile on a moderately easy path, you'll be grateful. Once a getaway for the wealthy, there's still homemade lemonade for sale and rowboats to cruise around the waterfalls with your better half. It's a gem for sure. 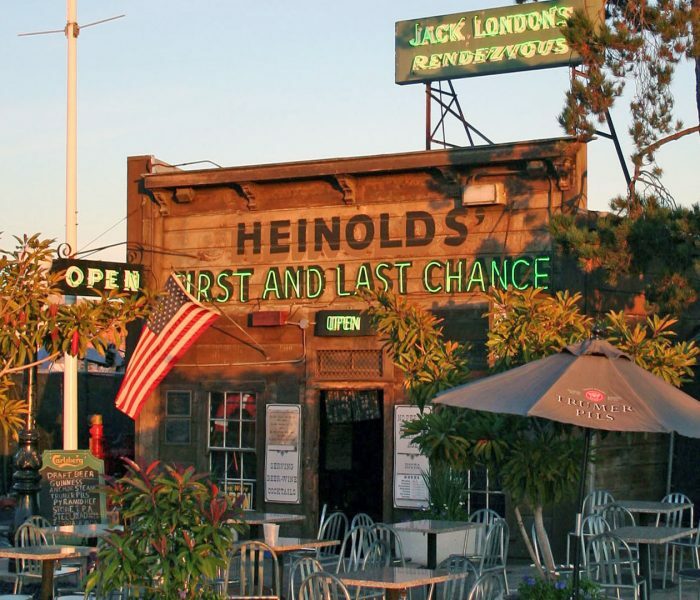 The oldest bar still in business in California stands at the waterfront of Jack London Square. Called the First and Last Chance because in 1883 when it was built, it was the first and last chance for sailors coming or going out to sea. Built from a whaling ship, this saloon stands proud among towering foo-foo restaurants and nearby yachts docked for the day. 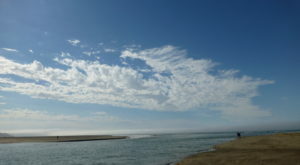 Whether you’re a native NorCal gal or guy, there’s always a little gem tucked away somewhere you haven’t laid claim to. How about putting a few of these down on your “must-see-before-I-die” list. Better yet, share the hidden gems we need to know about in the comments!